Happy autumn everyone! Today I am sharing a desktop background I created to celebrate fall. The quote I included circulates a lot at this time of year, but I think it's worth repeating. 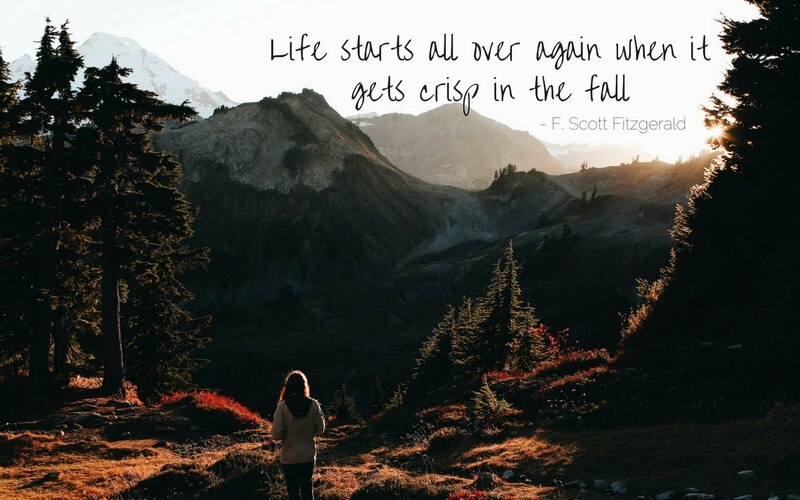 F. Scott Fitzgeald just has the best way with words. Enjoy!